Hans gained a Bachelor of Financial Administration from the University of New England and went on to complete the CPA program through the Australian Society of Certified Practicing Accountants. Hans moved to Sydney from the country and commenced his career in the hospitality industry as an analyst for the Four Seasons Hotel before broadening is knowledge through joining an advertising company. He then moved to the Pharmaceutical industry by joining Novartis Australia as a Management Accountant. Hans quickly rose to the position of Financial Controller of Novartis where he was responsible for the introduction of several systems to enhance the reporting and analytical capability of the organisation. This led to regional and international roll outs led by Hans. In 2001, Hans was made the Country CFO of Thailand and Finance Director of the Pharma affiliate, based in Bangkok. Hans’ contribution to the development of Thailand led the affiliate from being one of the poorer performers to be consistently ranked as in the top 3 for Novartis. Through his success, Hans broadened his experience by taking on the challenge of the Business Development and General Management of Indochina with a predominant focus on Vietnam, leading to the establishment of a presence in these countries under an agency arrangement. 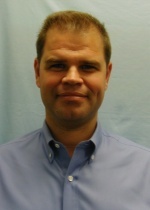 Hans moved his family back to Australia in May 2006 to join Amgen as Director of Finance & Operations. He has contributed to the growth and development of Amgen Australia through restructuring the Finance and Administration function and its’ processes in order to meet the future requirements of the organisation. In his spare time, Hans has several sporting interests, playing Rugby for the local club, surfing and swimming. He has two young sons who enjoy similar interests and ensures there is time to coach the kid’s rugby and baseball teams. Last Updated: 2013-04-23 13:59:15 by Emily Inglis .